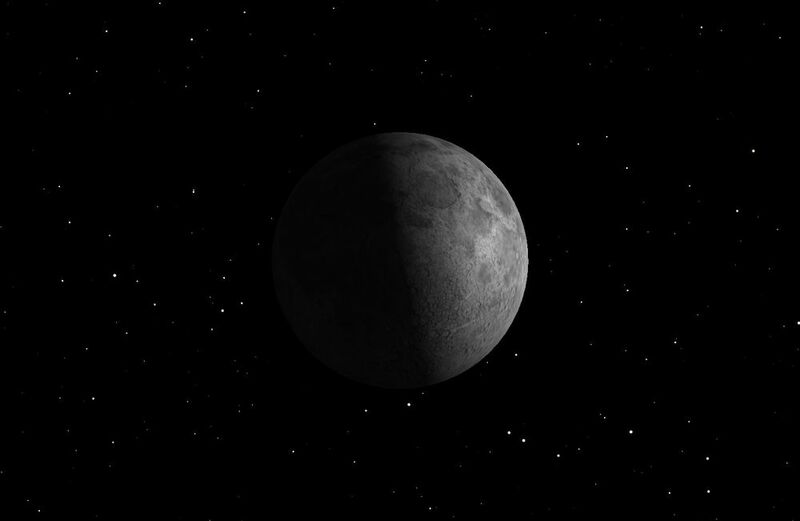 The Last Quarter Moon rises around midnight and sets around 3 p.m. It is most easily seen just after sunrise in the southern sky. The First Quarter Moon rises around noon and sets around midnight. It dominates the evening sky. The August Full Moon is known as the Corn Moon, Sturgeon Moon, Red Moon, Green Corn Moon, or Grain Moon. It rises around sunset and sets around sunrise; this is the only night in the month when the Moon is in the sky all night long. 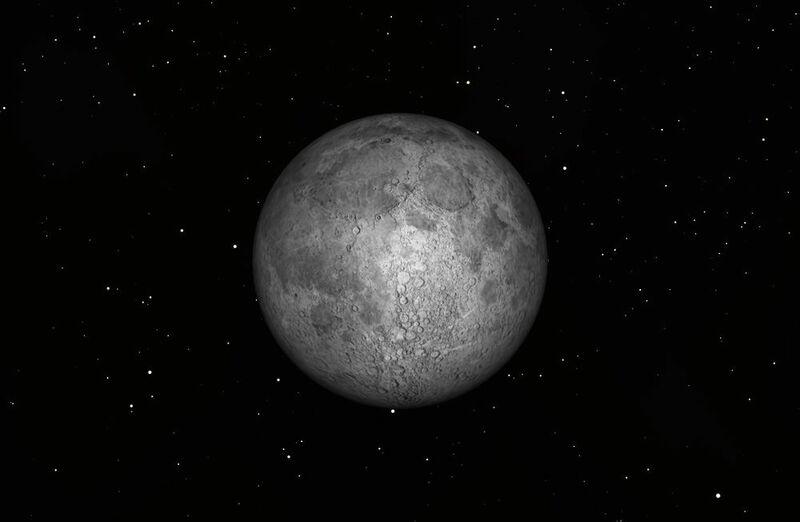 The rest of the month, the Moon spends at least some time in the daytime sky. 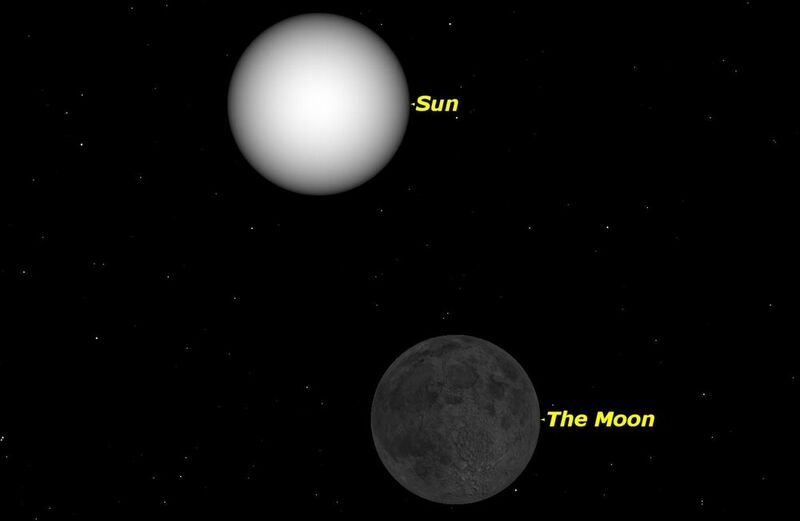 The Moon will be close to Uranus just before sunrise. 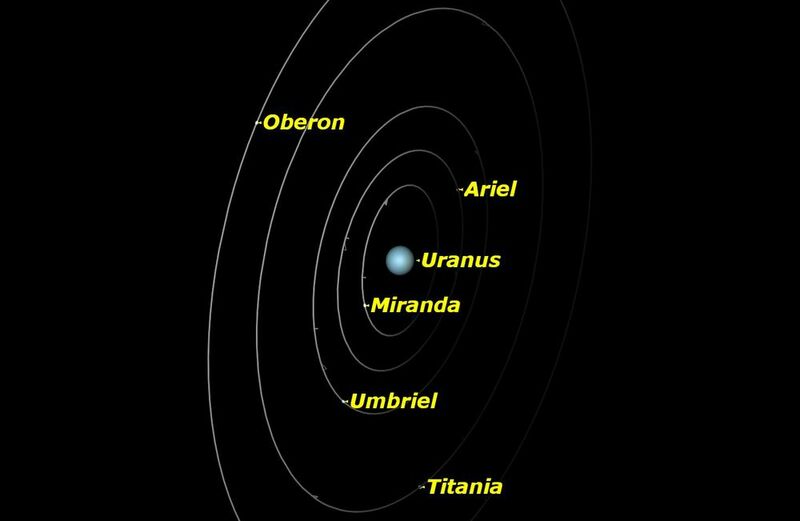 In southern South America, the Falkland Islands, and parts of Antarctica, the Moon will actually occult Uranus. 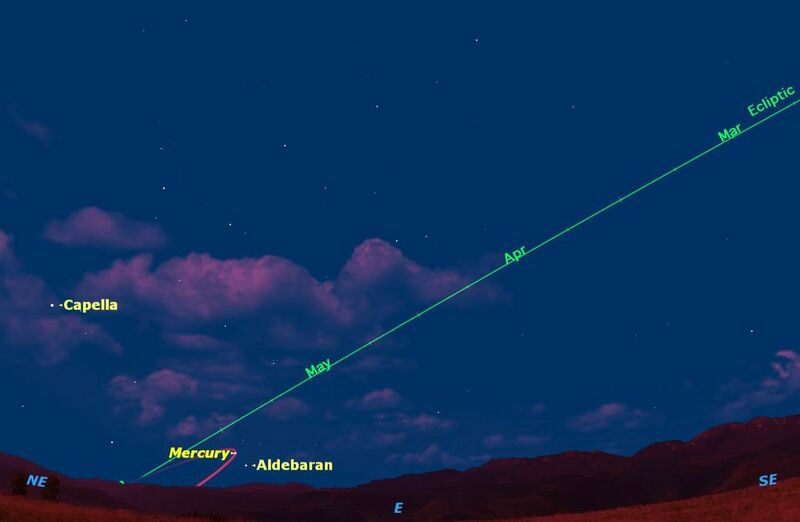 Mercury and Jupiter will pass close to each other, appearing within the same telescope field. These three bright objects will form a tight triangular pattern low in the western sky after sunset. 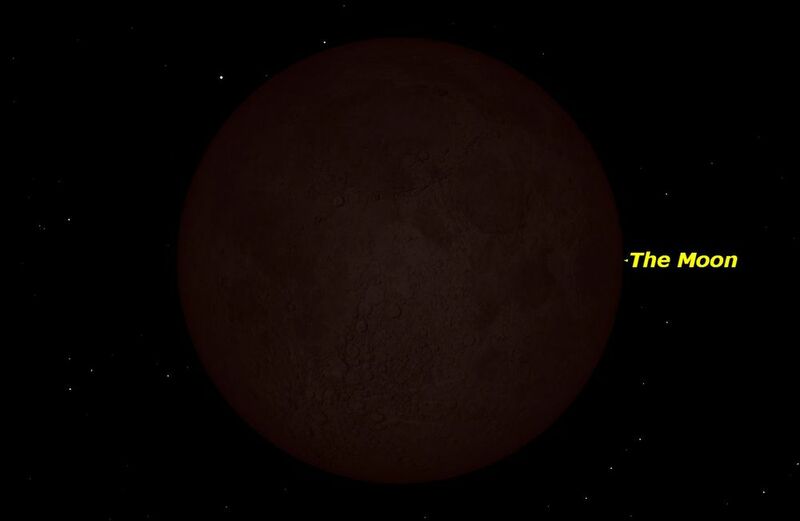 The waning crescent moon will pass close to the bright red star Aldebaran low in morning twilight. 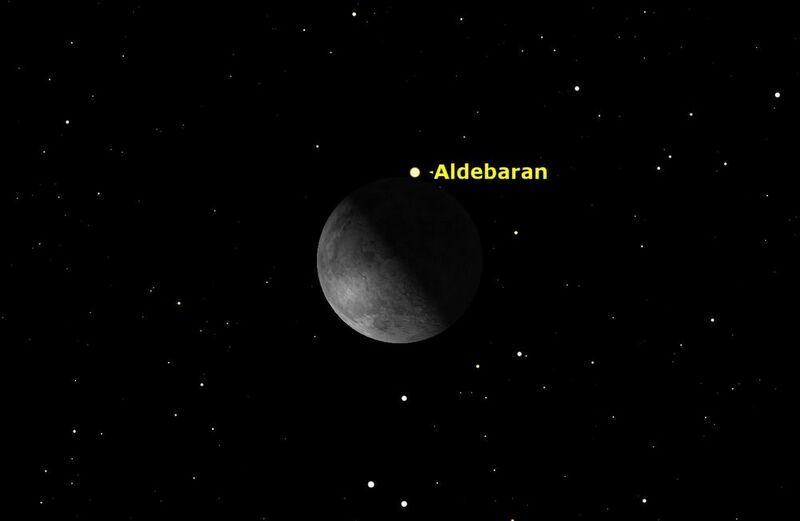 The Moon will occult Aldebaran as seen from the Middle East, eastern Europe, northwestern Asia, Scandinavia, Russia, Alaska, and northwestern Canada. 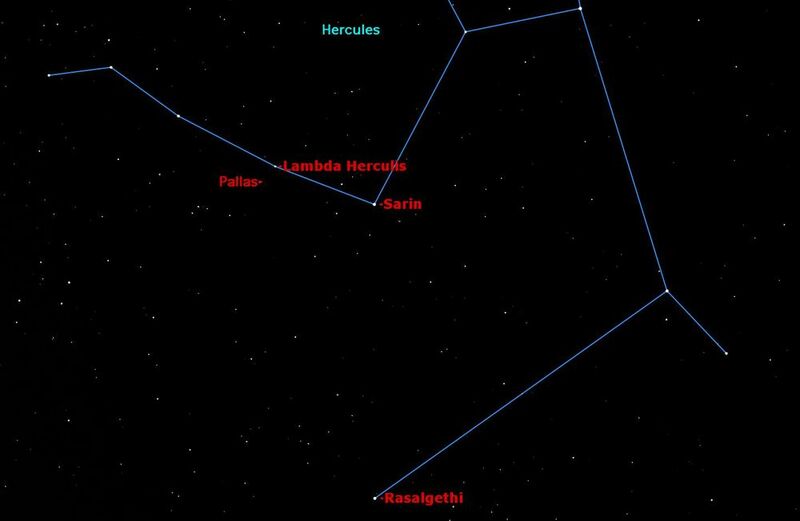 Jupiter will pass just north of the bright star Regulus in the constellation Leo. Thursday, August 13, 2 a.m. The Perseid meteor shower is always the most reliable in the year, and this year benefits from having the moon out of the sky for most of the night. Although Perseid meteors can be seen at any time of night, there are always more meteors after midnight because then the Earth is heading directly into the shower. Although they appear to radiate from a point in the constellation Perseus in the northeastern sky, they can be seen anywhere in the sky. Mars, just past conjunction with the sun, passes in front of the Beehive Cluster, Messier 44. 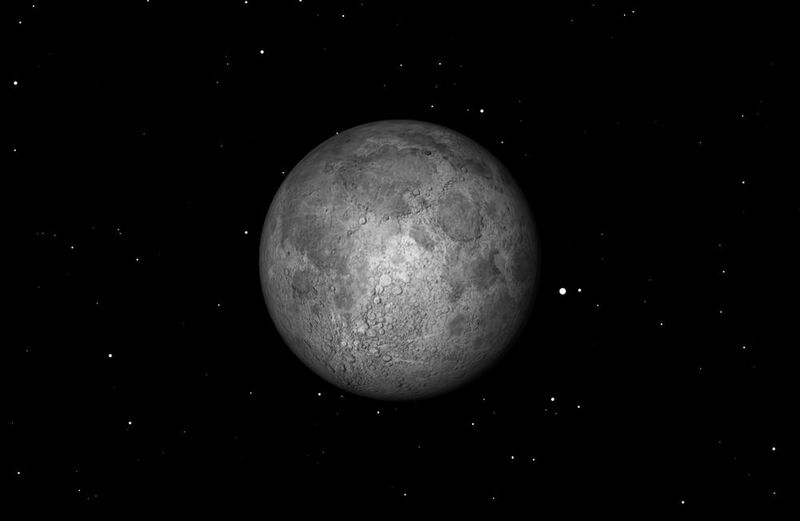 The moon will be closest to the Earth at 11 a.m. on August 30, 222,631 miles or 358,290 km. distant. 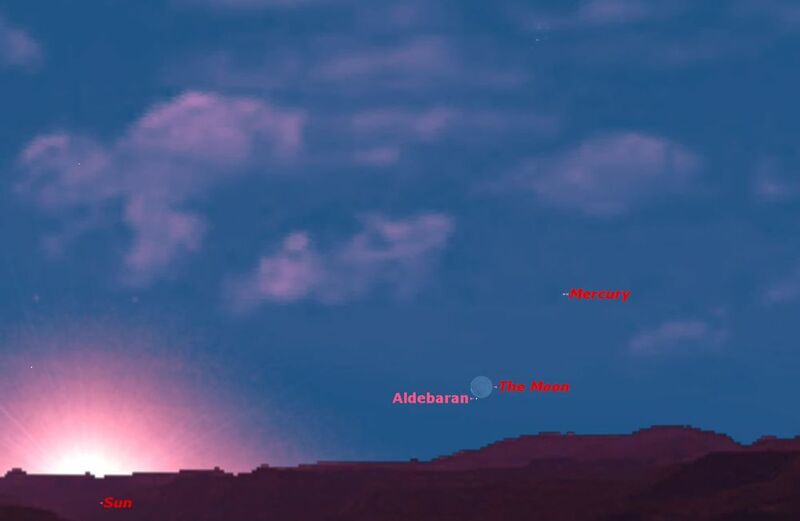 The moon will be below the horizon at that time for observers in North America. The best time to observe this “supermoon” will be just after it rises on Saturday night, August 29. Those living near the ocean should expect higher tides than normal for the next few days. 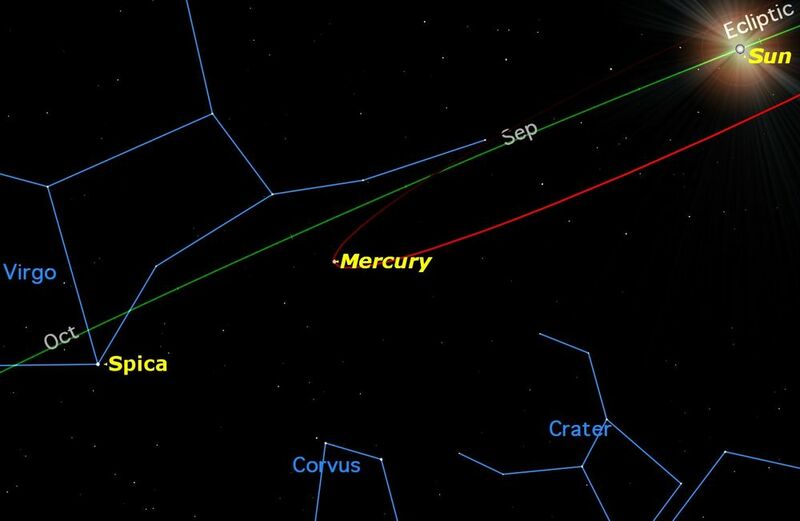 Mercury is visible low in the western sky after sunset for most of the month, This apparition is more favorable for observers in the Southern Hemisphere. 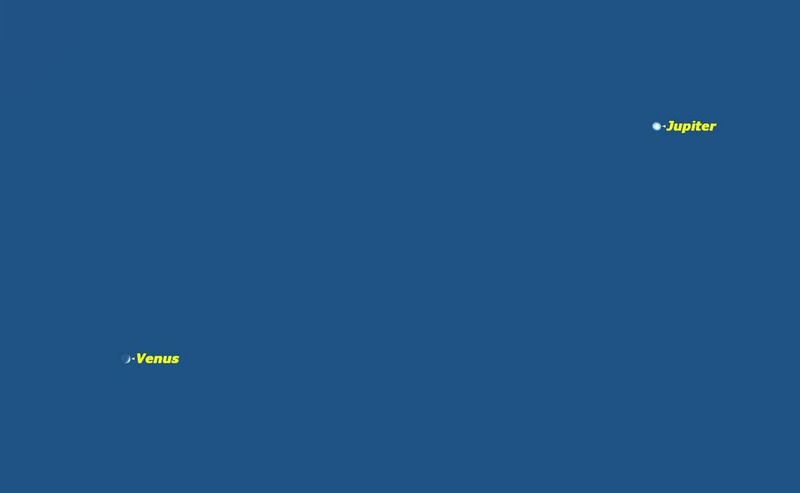 Venus moves from the evening to the morning sky on the 15th, but will be hard to observe for northern observers because of its closeness to the sun. Southern observers will have an easier time, and on the 15th may actually be able to observe Venus as a morning star in the east and an evening star in the west. 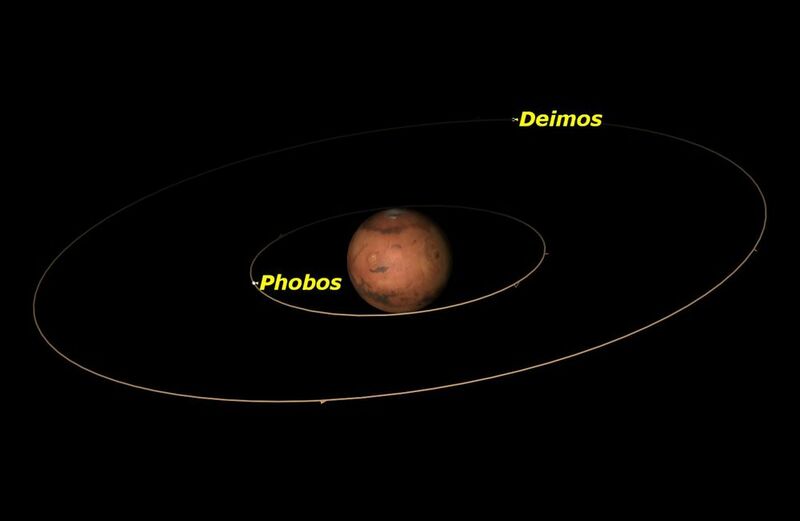 Mars reappears in dawn twilight after its conjunction with the sun on June 14. Jupiter is too close to the sun to observe this month. 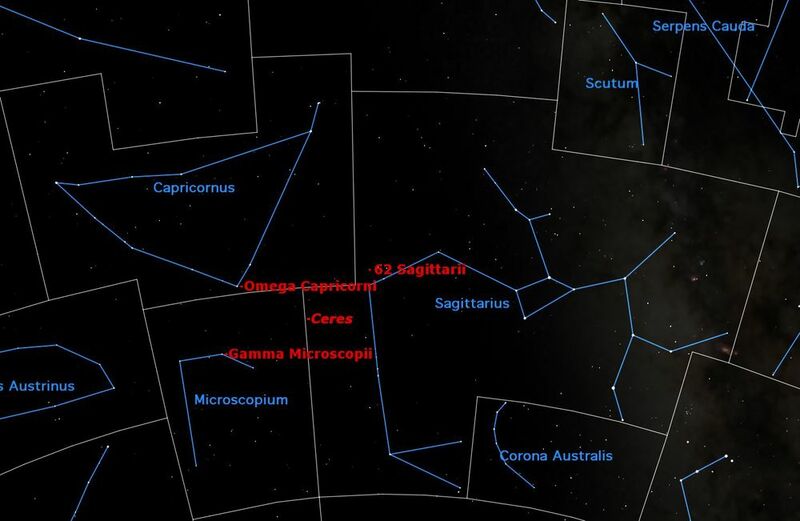 Saturn is well placed in Libra in the evening sky. Uranus rises in the late evening in Pisces. 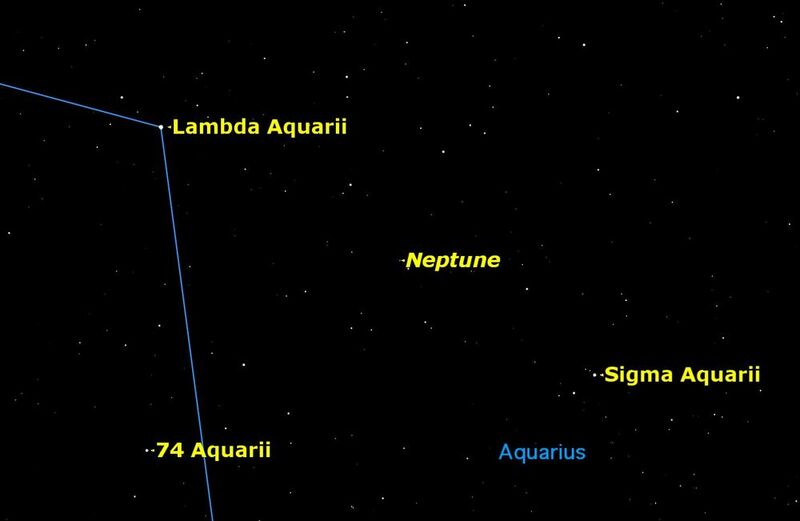 Neptune rises in the mid-evening in the constellation Aquarius. If you’ve been watching the western sky just after sunset lately, you will have noticed two bright objects, gradually drawing closer. These are the two brightest planets, Venus and Jupiter. 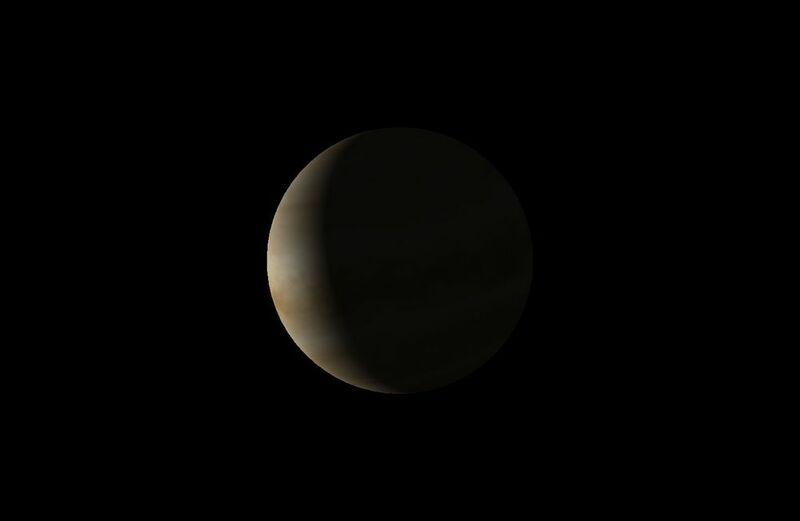 Venus is the brighter of the two, currently magnitude –4.6 on the upside-down brightness scale astronomers use. It will get slightly brighter over the next 10 days, reaching greatest brilliancy on July 10 at magnitude –4.7. Jupiter is somewhat fainter at magnitude –1.8, down from a maximum of –2.6 when it was in opposition on February 6. 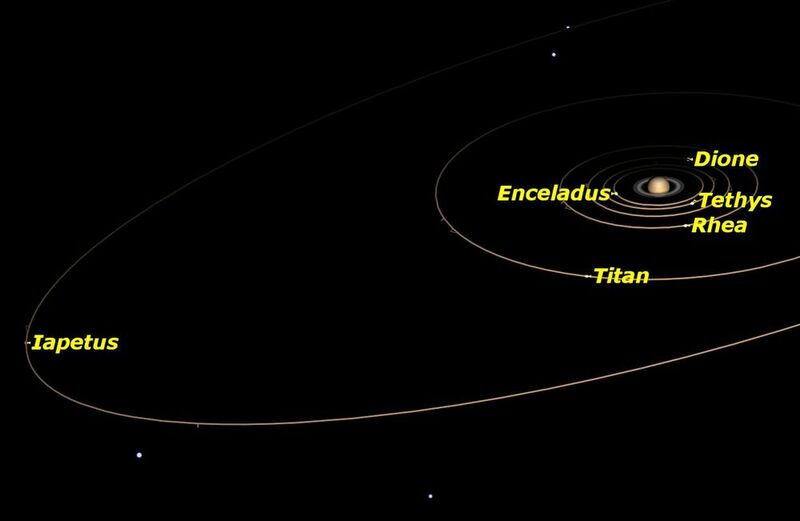 Although the two planets look very close in Earth’s sky, they are in fact very far apart, on opposite sides of the sun. The first graphic shows their true positions, as seen from far above the sun’s north pole. Venus is slightly nearer Earth than the sun, 0.512 astronomical units distant (47.6 million miles or 76.5 million km.) while Jupiter is 6.083 astronomical units away (565 million miles or 910 million km.) on the far side of the sun. 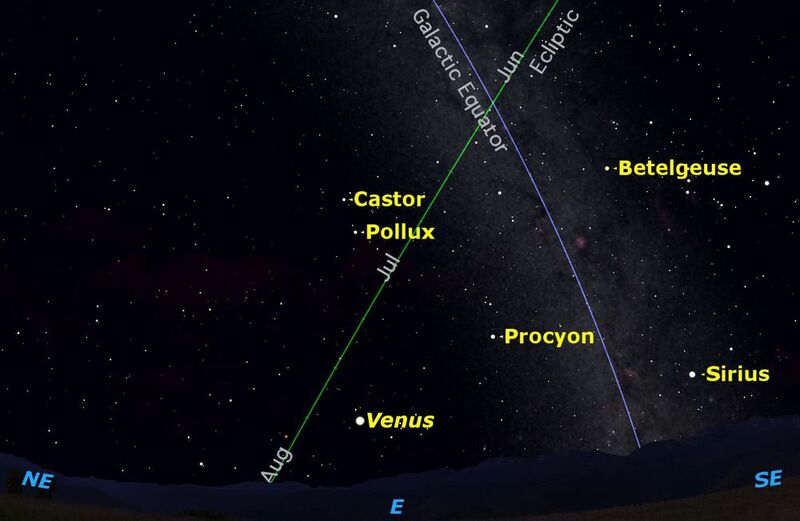 Seen from far above the sun’s north pole on Wednesday, July 1, Earth, Venus and Jupiter lie almost on a perfect straight line. Credit: Starry Night software. Viewed in a telescope, the two planets are, by coincidence, exactly the same apparent size, 32 arc seconds in diameter, about a 60th of the apparent diameter of the moon, but look very different. 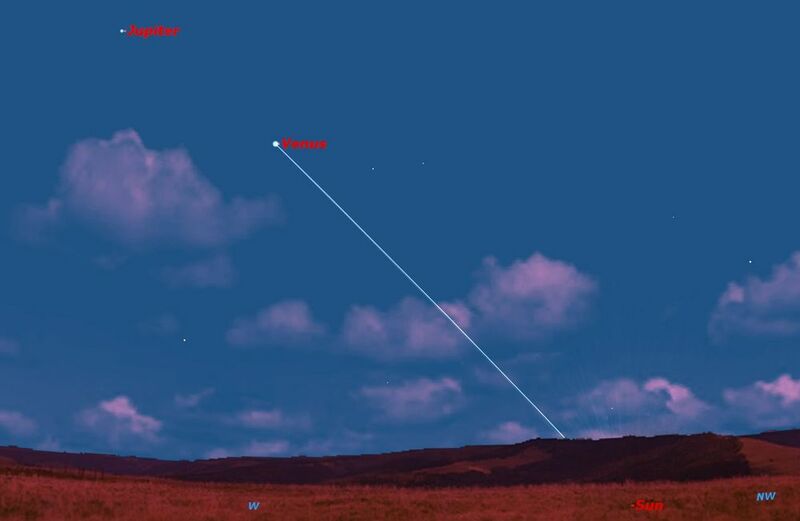 Seen in the eyepiece of a telescope magnifying 65 times at sunset on July 1, Venus and Jupiter appear very close, but look very different, even though both are the same angular size. Credit: Starry Night software. Venus, with its bright cloud cover and closeness to the sun, is a brilliant white crescent, lit from slightly behind because it is moving between us and the sun. Jupiter’s cloud tops are somewhat darker than Venus’, but it is also more than seven times farther away from the sun. As a result, despite its large size, Jupiter appears much fainter in a telescope than Venus. 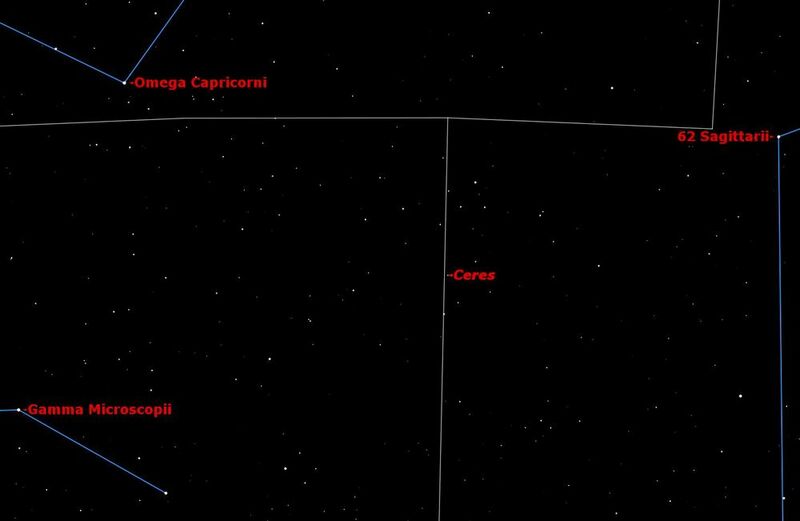 Two bright planets in close proximity make a striking sight with the naked eye. 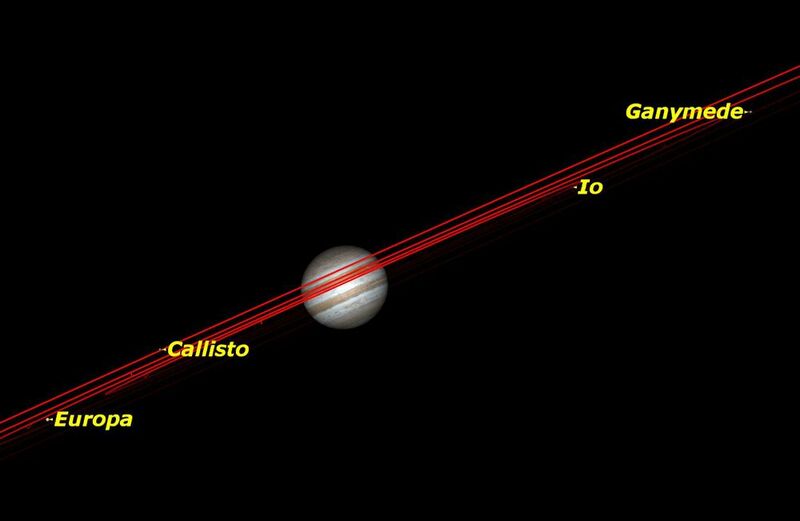 In binoculars you should be able to see that Venus is a tiny crescent and Jupiter is a disk accompanied by 3 tiny moons (on July 1, Callisto will be behind Jupiter). A small telescope will make the view much clearer. 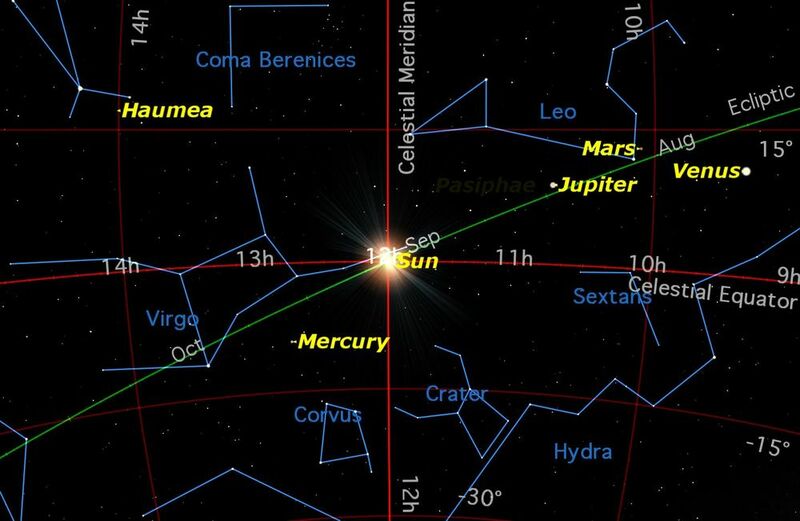 As you continue to watch these two planets over the next few weeks you will see them draw apart as both get closer to the sun, Venus passing between us and the sun on August 15, and Jupiter passing behind the sun on August 26. In another month, both will reappear in the morning sky, where they will join Mars, which passed behind the sun on June 14. If you’ve been watching the sky in the early evening lately, you can’t have missed seeing the planet Venus in the west. Venus has been travelling around its orbit towards us, appearing in evening twilight higher and higher in the sky. 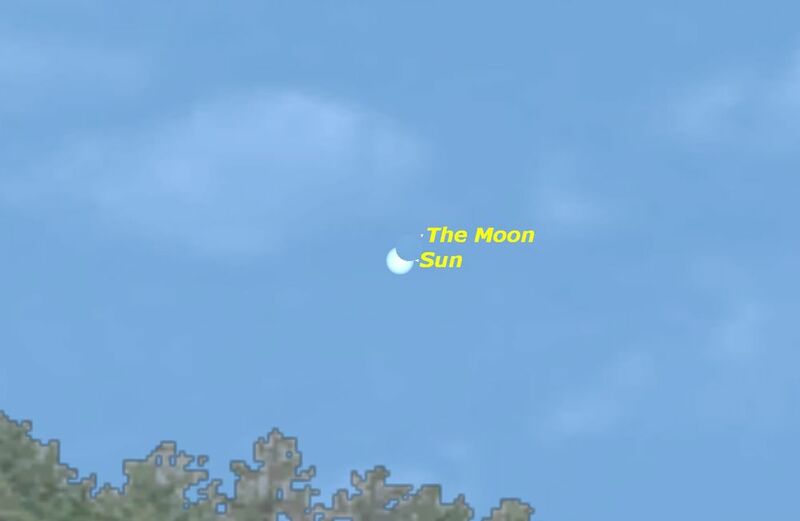 This week on Saturday, June 6, it reaches its greatest angular distance from the sun, 45 degrees, at what is called “greatest elongation east.” Even though we are looking at it in the western sky, it is elongated in the direction of the eastern horizon, so it is east of the sun in astronomical terminology. As seen in a small telescope, Venus this week appears like a brilliant miniature first quarter moon. However, unlike the moon’s pock-marked surface, Venus appears perfectly smooth. That’s because we are seeing only the tops of its dense clouds, which mostly appear a featureless blank white. Beneath those bland clouds lies one of the most bizarre of alien worlds: the greenhouse effect gone wild with a terrain of bare rock heated to a uniform world-wide temperature of 864 degrees Fahrenheit (462 degrees Celsius), where the endless clouds rain down sulfuric acid. There are, in fact, vague shadings in the surface of Venus’ clouds. These are best seen with a deep violet filter such as the Wratten 47 available in most telescope stores. It also helps to observe Venus in a daylight sky, when much of its glare is cancelled by daylight. Whenever Venus is close to elongation, we begin to hear many reports of UFOs in the western sky. Venus is so bright that even experienced stargazers are sometimes taken by surprise. Over the next few weeks, Venus will begin to move closer to the sun at twilight, actually passing between Earth and sun on August 15. Most of the planets are so small and far away that they appear as star-like dots in most binoculars. Venus is the exception to this. Study it closely with binoculars over the next few weeks, and you will see it first as a tiny half-moon, then gradually getting larger in size but with a thinner crescent shape as it draws nearer the Earth. 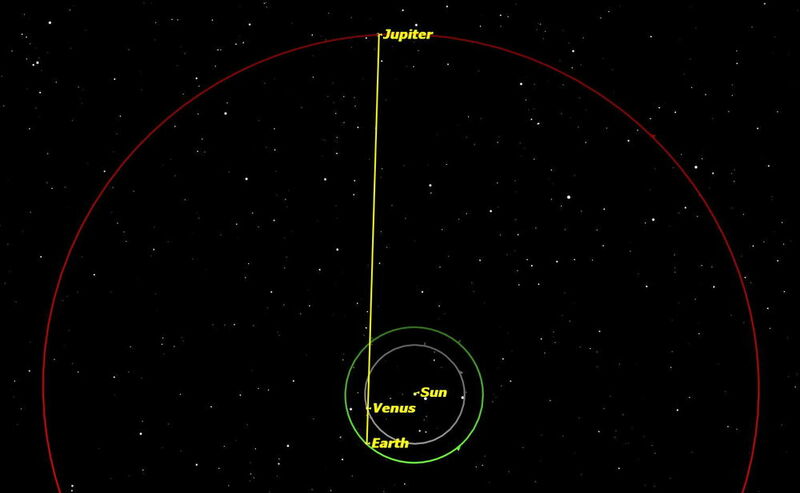 Because Venus’ orbit has a slightly different tilt than Earth’s orbit, Venus usually passes above or below the sun, rather than passing directly in front of it. This August it will pass just 8 degrees south of the sun. Twice so far this century, the orbits of Earth and Venus crossed with both planets in exactly the right position, and Venus was visible in front of the sun. Unfortunately the next such transit of Venus will not occur until the year 2117. I was lucky enough to have clear skies for both the transits of Venus in 2004 and 2012, and seeing the tiny black dot of Venus through a solar filter was a highlight of my observing life.